Dean Calvin Johnson thanked employees for pursing excellence and noted that “employees set the culture and tone of the team.” He recognized all CVM employees who play a vital role in the strategic plan of the College, noting that all employees are important to the mission of the college. Recognizing that administrative and employees are vital to the college’s success in educating students, animal health care and research initiatives, the College of Veterinary Medicine established an employee committee to recognize and honor employees who consistently and consciously go beyond their normal work activities in support of the college. Winners are nominated and selected by CVM employees. 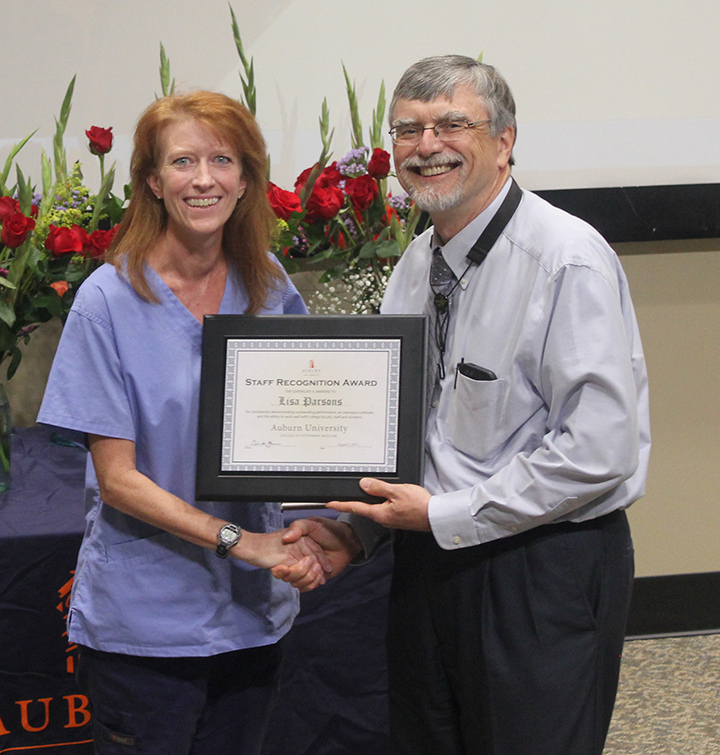 The 2014 Dean’s Award was given to Rob Buchanan, head of the Cary Veterinary Medical Library at the CVM. 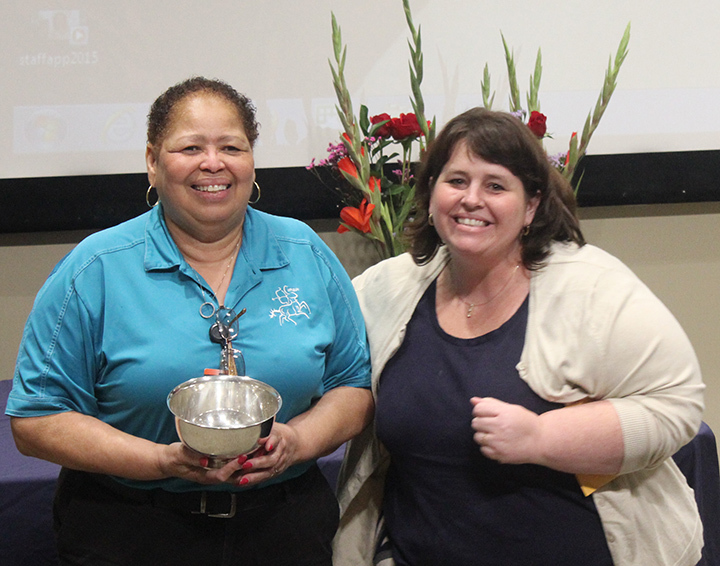 The Dean’s Award is given to a non-CVM employee who performs outstanding duties for the college. Jeanne Brock, a chief canine trainer for Canine Performance Sciences, received the Williams Award. 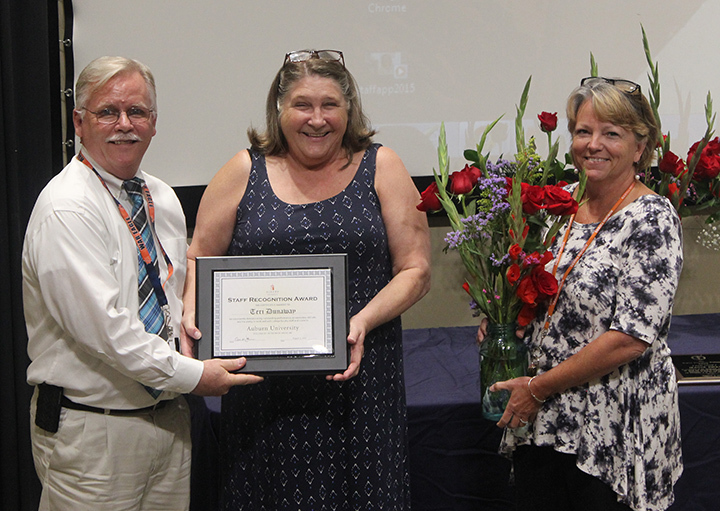 Pam Haney, a research assistant and coordinator of the puppy development program for Canine Performance Sciences, received the Czerkawski Award. 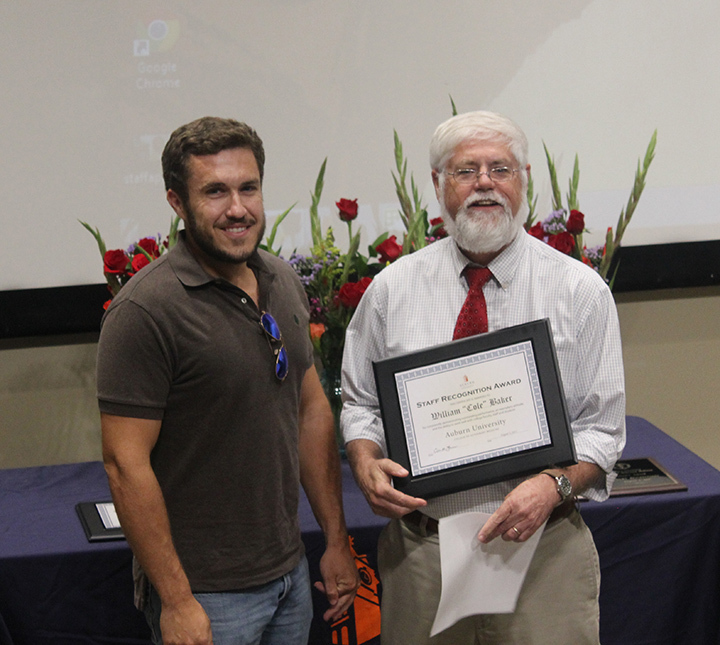 Dr. Charles Hendrix, a professor in the Department of Pathobiology, was presented with a special, one-time award to recognize his “dedication to the promotion of the Auburn Spirit and the preservation of the Auburn veterinary family through years of exemplary leadership” for the staff awards and Staff Appreciation Ceremony. 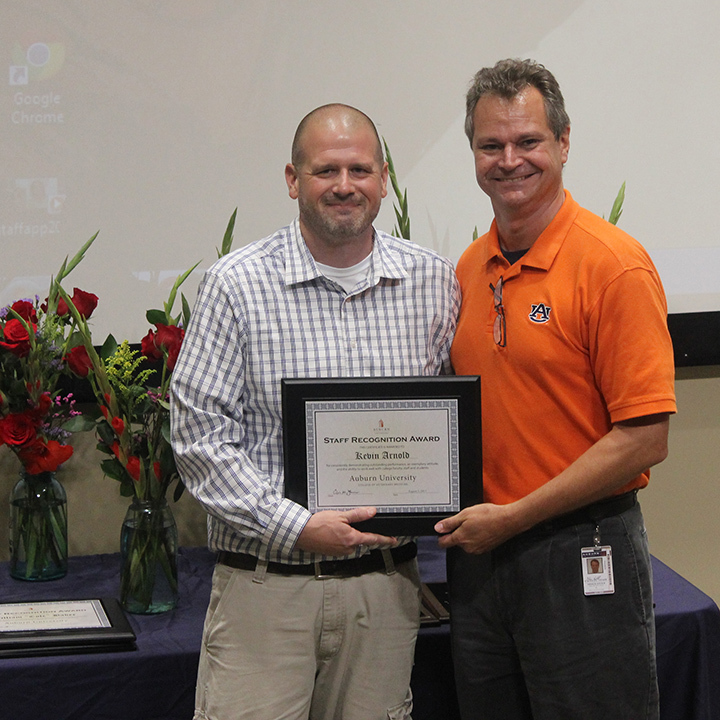 The program also recognized employee’s longevity service. Staff Recognition Committee members are Missy Streicher, Amelia Pendleton, Merrilee Holland, Charles Hendrix, Betty Files, Derrick Calloway, Fred Caldwell, Barbara Kemppainen, chair, and past chair Pete Christopherson.